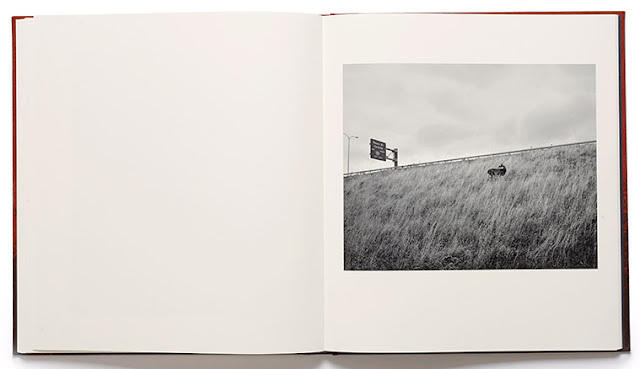 Book Review she dances on Jackson By Vanessa Winship Reviewed by Tom Leininger A road trip across America photographed with large format black and white film is fertile ground for nostalgia and romanticism to grow upon. Vanessa Winship avoids these photographic pitfalls with her new book she dances on Jackson. She has created a direct, yet metaphoric record of her travels that is both timeless and descriptive of the present. she dances on Jackson. Photographs by Vanessa Winship. HCB Foundation / MACK, 2013. HCB Foundation / MACK, 2013. Hardbound. 144 pp., 48 tritone illustrations, 9-1/2x10-1/2". A road trip across America photographed with large format black and white film is fertile ground for nostalgia and romanticism to grow upon. 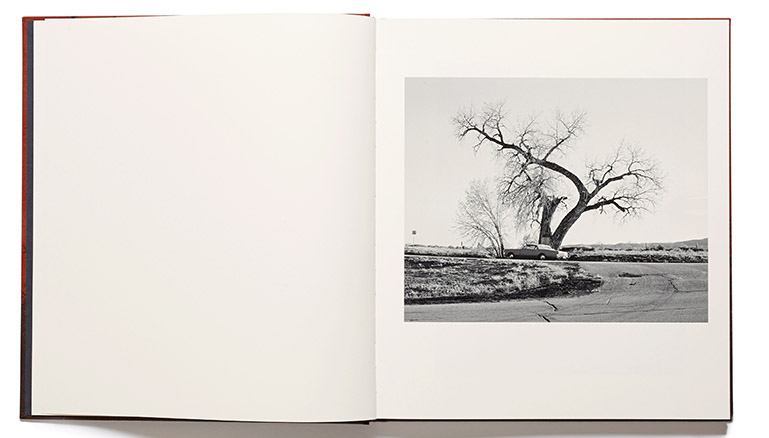 Vanessa Winship avoids these photographic pitfalls with her new book she dances on Jackson. She has created a direct, yet metaphoric record of her travels that is both timeless and descriptive of the present. The variety of landscapes shown along with the portraits tells us that the book covers a fair amount of ground. In avoiding the obvious, Winship crafts a view of transitory America. These are heroic views of the everyday and plain. She connects with a number of people who appear to be in their transition years of the late teens to mid-twenties. The American South is present in many of the landscapes. A gothic heaviness drips from these images. The title refers to an event where Winship witnessed a young girl dance while waiting for the L at the Jackson stop in Chicago. It serves not only as the title of the book, but also a potential metaphor. Winship created a lot of room for the reader with this book by not giving specifics about the pictures. We do not see an image of the girl dancing. Very little action ever happens in these pictures. This space serves the work and helps the reader to connect with it. Overall, the book is able to avoid romanticism and nostalgia because of this distance. She puts between herself and the landscapes she is studying. The space helps the reader along. 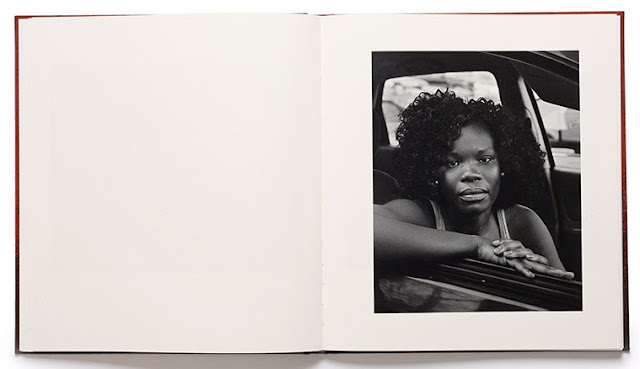 she dances on Jackson, by Vanessa Winship. 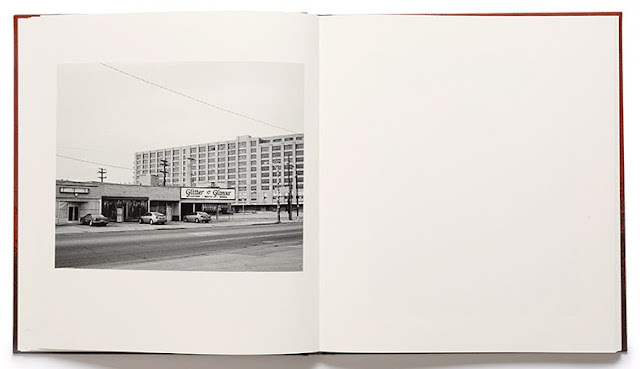 Published by HCB Foundation / MACK, 2013. Winship approaches America with a deadpan neutrality that comes through the most evidently in the portraits. Many are of women, confident women facing the camera directly. In one image a woman is dressed for a party and holding an interesting looking bouquet while standing in a location seemingly not connected to her dress. Is she trying to rise above these shabby conditions? Will she? Her look says she has. In another portrait a boy holds the ear of his father while standing on a curb. Both are in their Sunday best, so it could be a scene before or after church. This is one of the few scenes of true intimacy between people in the book. There are pictures of young couples in love, but this image, like the scene described in Winship's essay, shows it clearly. The landscapes have a familiar feel to them. By using a large format camera, the details of the places are described with a crispness. The printing is excellent and the size of the book allows for the details to come though, but it is still an intimate viewing experience.